How the Magic of Art brings people together. 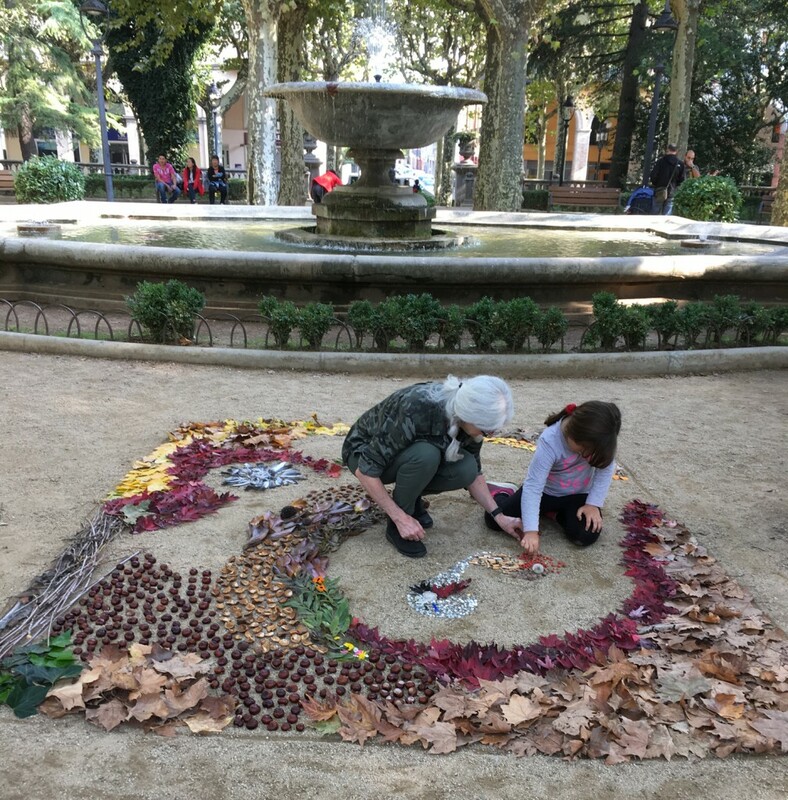 My experience participating in the local Olot Fir del Dibuix was amazing! 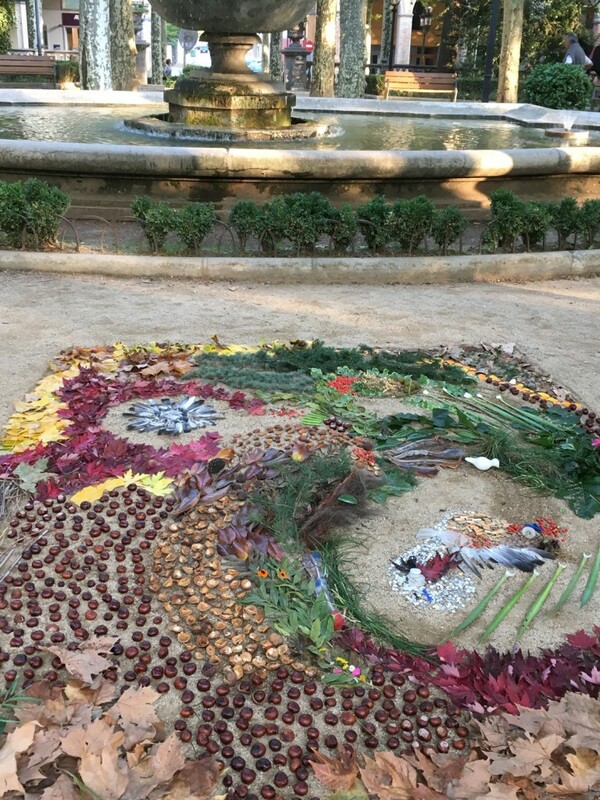 I chose to create a large Land Art installation in the park using indigenous matter. 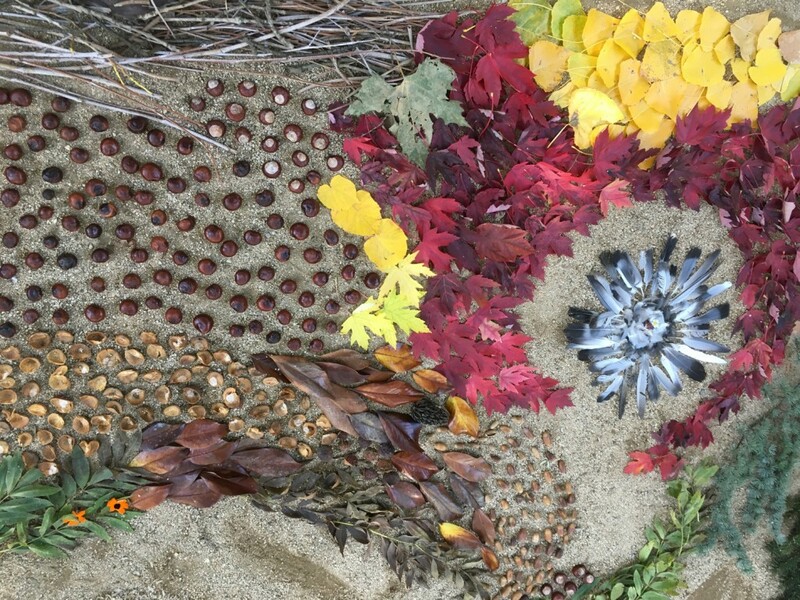 I squared off a composition space then collected small pieces of nature and discarded debris. I spontaneously assembled various elements into forms that synchronized into a beautiful pattern of nature overcoming human litter. Within minutes, the curiosity of the neighborhood children brought them to my side, and they quickly joined in the art-making with enthusiasm. 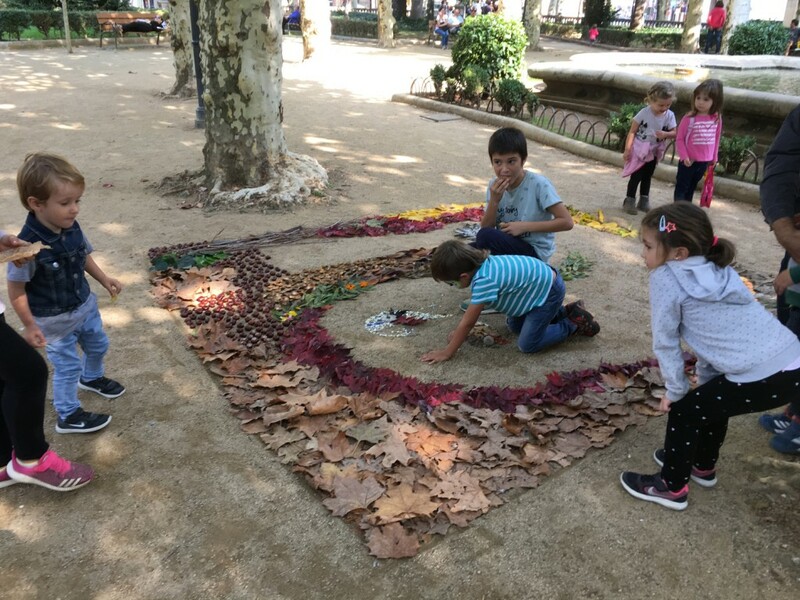 Although I do not speak Catalan, a smile and a little encouragement removed the language barrier, and we became working teams, including a late contribution from an art student from the Escolar d’Art ad’ Olot. I loved the playful nature of the participants and the high regard for my art. 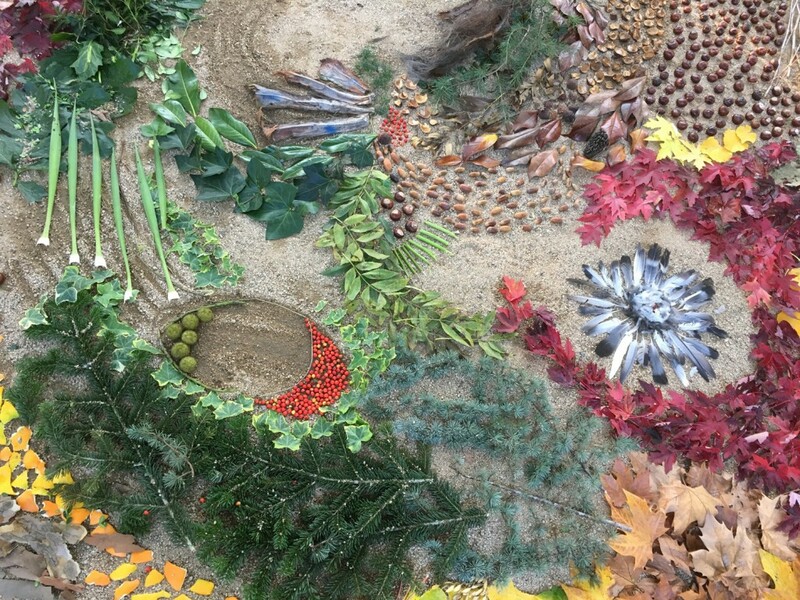 The final work of art was stupendous, illustrating the universal love of nature,beauty and community.